I managed a second game this week as Robbie came up on Thursday to play another French Revolutionary War battle set during Suvarov's campaign in Switzerland in 1799. The Russian army was exactly that which failed against Conrad earlier in the week but I made changes to the French by removing one battery of artillery and downgrading about a third of their infantry to 'newly raised', i.e. cannon fodder. I changed the terrain a little and added a couple more bridges over the river. We also fought from the long table edges rather than down the table's length as last time. The river was deemed to be crossable if a unit attempting to do so scored a 6 on 1D6. Robbie deployed the French to counter every possible entry point and direction of attack from the Russians. This meant he was spread quite thin in places. My troops would arrive randomly over the course of the first three turns, and in the wrong place as it turned out! 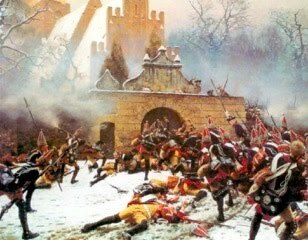 The Polish Legion held the Devil's Bridge but were very quickly attacked by Russian grenadiers. 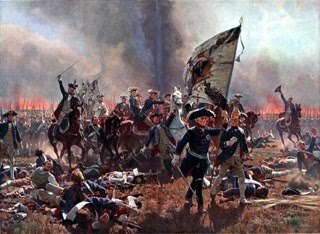 The leading grenadier battalion was broken but the second swept forward and destroyed the Poles. This battalion of grenadiers then charged over the bridge, down the mountain track and charged the Helvetic Legion. The latter were shaken and pushed back in disarray. Robbie's conscripts occupying the centre of his line. The Helvetic Legion and a French light infantry battalion before the former were driven off by the over enthusiastic Russian grenadiers! French horse artillery in the centre held me up and did a little damage to my troops over the river, but not much, mainly causing them to become disordered. The Polish Legion just before they ran away. My grenadiers just after they'd carried out their wild charge and seen off the Helvetic Legion that can be seen in the background. On my left, a brigade of Russians attempted to come to grips with the French facing them. 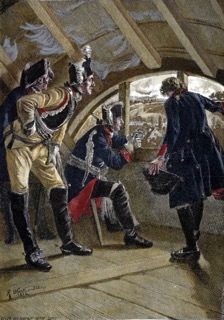 Both musketeer battalions were halted and shaken, but the Moscow Grenadiers were already locked in combat on the bridge fighting a battalion of French combined grenadiers. After about four rounds of combat and with both its supporting units in retreat my grenadiers broke. The entire left flank was now held by a lone unit of jager which would soon be forced to withdraw as well. They crossed the Devil's Bridge and deployed on the French side of the river behind my beleaguered grenadiers who were under fire from artillery and muskets and eventually forced to withdraw back over the bridge. On the right my Cossacks had managed to cross the river. My jager were trading shots with Frenchies ensconced in the village. The grenadiers had been stationery for much of the game as I didn't fancy their chances if they crossed the bridge unsupported. Then, throwing caution to the wind I did just that. 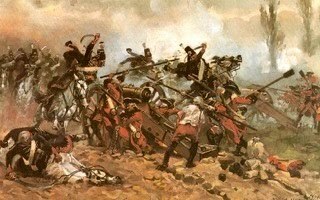 They charged into a column of French grenadiers but after a round of melee which they surprisingly lost were forced to withdraw as a result of their subsequent break test. Robbie's French followed up the following turn and charged the supporting Russian grenadiers on the bridge but were held there for the rest of the game. 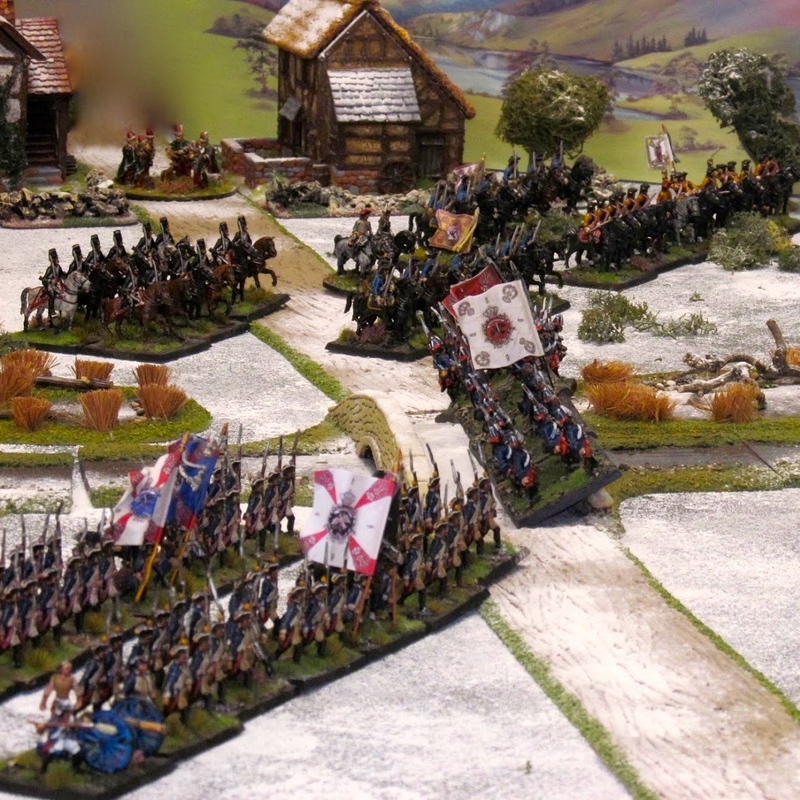 Robbie charged my Austrian cavalry which countercharged, thus enabling the French to hit them in the flank as well. 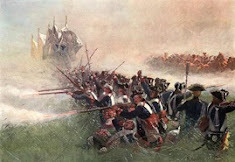 Predictably the Austrians broke and the French followed up and smashed into the other stationary unit, which also fled. At this point we agreed to call it a day. The French had been quite badly mauled in the centre but had held on. My left flank had been totally driven off the field and the right was held up on the bridge. Although my cossacks had managed to cross the river there was little they could have done to influence events. So another Russian defeat. Even though I made quite a few of the French newly raised (when actually they were by this time pretty much veteran troops) the Russians still didn't have the numbers to make an impact. I give all the Russians the 'stubborn' and 'tough fighters' rules, and don't give them 'first fire'. That makes then quite hard to kill, especially when in attack column when its anything but a 1 or a 2 to save, but whenever they 'lost' a round of melee it was down to a lack of supports (which is my fault I guess), and once the break test dice are thrown the result is in the lap of the Gods. Anyway, it was a great game and looked pretty spectacular. I really do need to finish my last few battalions of Russian infantry to balance the sides up, and then we shall have another go. Interesting that the tweaks still didn't help the Russians enough. Are you still limiting fire after movement to those units that only move once (or did not move)? David, yes units can only fire if they move once or less. My tactical decisions probably didn't help lol! Liked the Devil's Bridge touch. Very nice pics - enjoyed the special effects. Another fine looking game Colin. I look forward to our proposed joint effort next year. Enjoyable game Colin! Black Powder rules? I liked the way the Horse artillery disordered the foot from across the river. A wonderful looking game an arena often over looked.